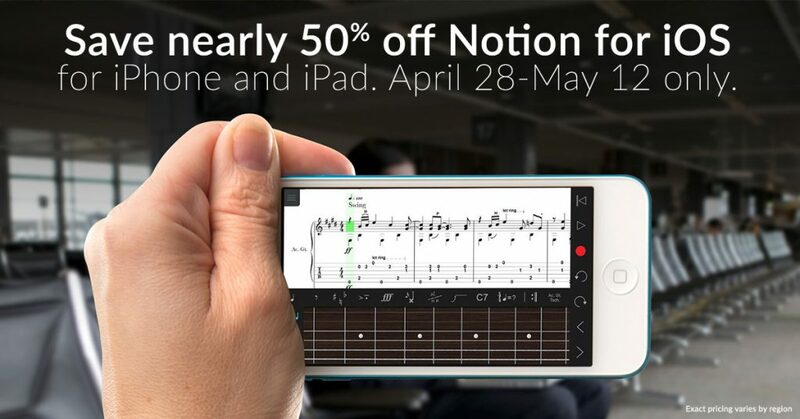 Get Notion for iOS for nearly half price—limited time! All this for nearly half price won’t last, so get it before May 12! Compose on the go and transfer your work to Notion 6. New handwriting support for iPad. Works with notation, tablature, or both. Huge wealth of sounds available from the London Symphony Orchestra recorded at Abbey Road Studios. Posted in Notion | Comments Off on Get Notion for iOS for nearly half price—limited time!